The Prospectors and Developers Association of Canada Convention (PDAC) is held in the first full week of March each year at the Metro Toronto Convention Centre in Toronto, Canada. PDAC is the world's leading convention for people, companies and organisations in, or connected with, mineral exploration. Australia Minerals attends this event to promote Australia's exploration and investment potential to the 24,000 attendees. 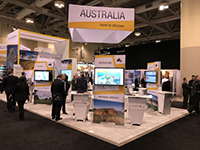 Further information on the Australia Minerals booth and events at PDAC 2020 will be made available as the convention approaches. Science in the Surveys is hosted every two years by one of Australia’s state or territory geological surveys. The event aims to highlight the outstanding science being conducted by Australia's geological surveys, CSIRO, UNCOVER and the DET CRC. This year’s event was hosted by the Geological Survey of New South Wales in the heart of the Hunter Valley. Industry professionals, researchers, government, sector stakeholders and geoscience students attended. For speaker details and more information, download a detailed program. Australia Minerals proudly hosts a China-Australia Resources Investment Forum each year in Beijing, China. Australia Minerals hosts this forum to promote Australia's exploration and investment potential in this key investment market. This event aims to attract increased investment in mineral exploration in Australia by engaging international government agencies and mining/exploration companies. The seminar includes multiple presentations on Australian minerals/energy commodities and the Australian investment and policy environment. Spoken presentations are simultaneously translated into Chinese or English and PowerPoint presentations are displayed in both Chinese and English. A panel discussion session involving a moderator, an expert panel and the audience follows each presentation. A display area with tables and posters is set up in the foyer to allow attendees to engage with participating government agencies and companies. To access relevant data and publications, please visit our Mineral Resources, Projects and Publications pages. Australia Minerals participates in the China Mining Congress and Expo held each year at the Meijiang Convention and Exhibition Centre in Tianjin, China. China Mining is one of the world's largest mineral investment, cooperation and trading platforms. More than 11,000 delegates attended in 2018, including more than 1000 international visitors, with over 582 exhibitors. Australia Minerals attends this event to promote Australia's exploration and investment potential at this significant convention in a key investment market. In addition to a large booth, Australia Minerals presents a Mining in Australia session during the convention. 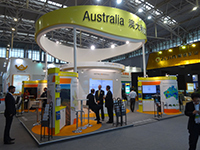 If you are in Tianjin at this time please come and visit the Australia Minerals booth for more information about precompetitive geoscience activities and exploration and investment opportunities from every state and territory. 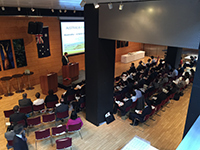 Australia Minerals hosts a Australia-Japan Mineral Resources Investment Seminar at the Australian Embassy in Tokyo, Japan each year. The Australia Minerals team looks forward to promoting Australia's exploration and investment potential in this significant investment market in an effort to attract increased investment in mineral exploration in Australia by engaging international government agencies and mining/exploration companies. The half-day seminar includes a series of presentations on Australian minerals/energy commodities and the Australian investment and policy environment. Spoken presentations are simultaneously translated into Japanese or English with PowerPoint presentations displayed in English. A display area is set up in the foyer to allow attendees to engage with participating government agencies and companies and a networking event is held immediately after the seminar. The Australia Minerals team travels to Seoul each year as part of its North Asia promotional activities. Australia Minerals also visits multiple cities in India every 12-18 months. During these visits the team meet with government agencies, mining and exploration companies, and people interested in investing in the minerals and mining sector in Australia. If you would like to know more about these visits, or to meet with the team when in the Republic of Korea or India, please send us a message via the Contact Us page on this website. Queensland events are listed in the Queensland Resources App. Download the app here.